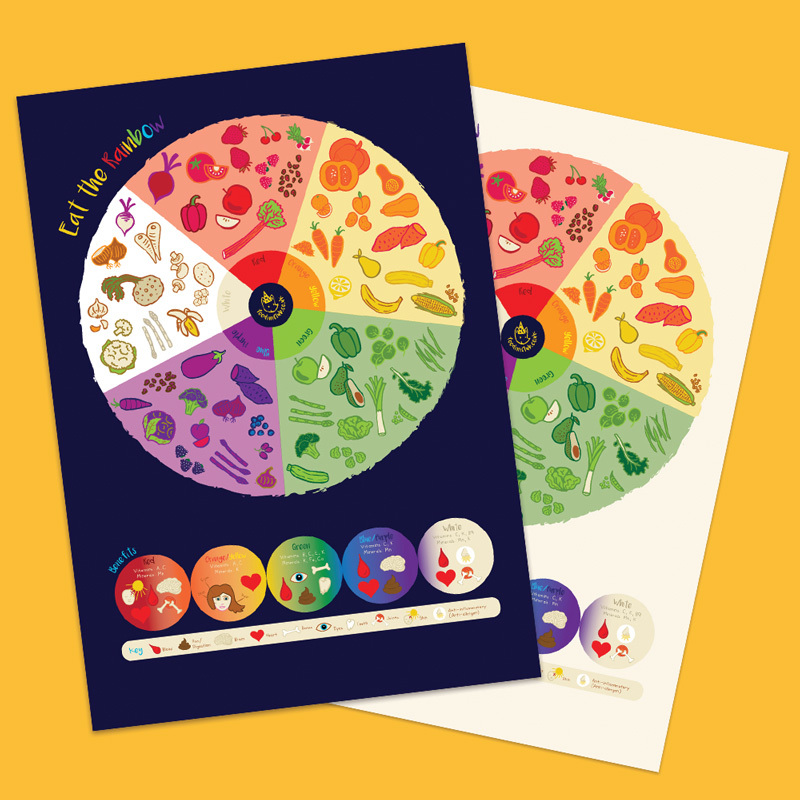 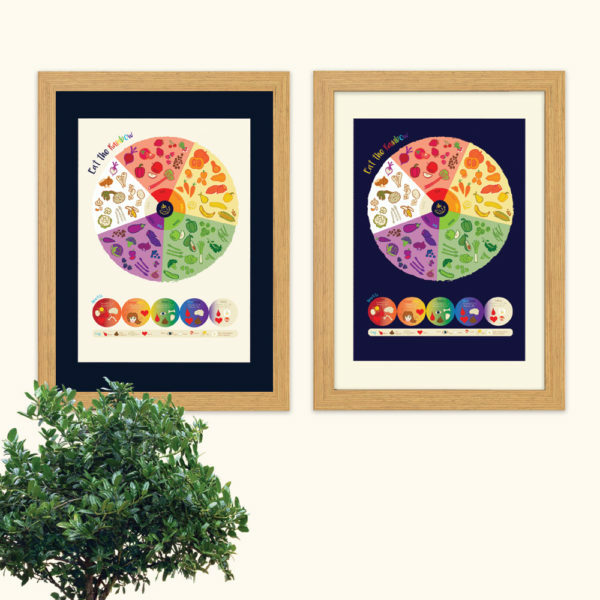 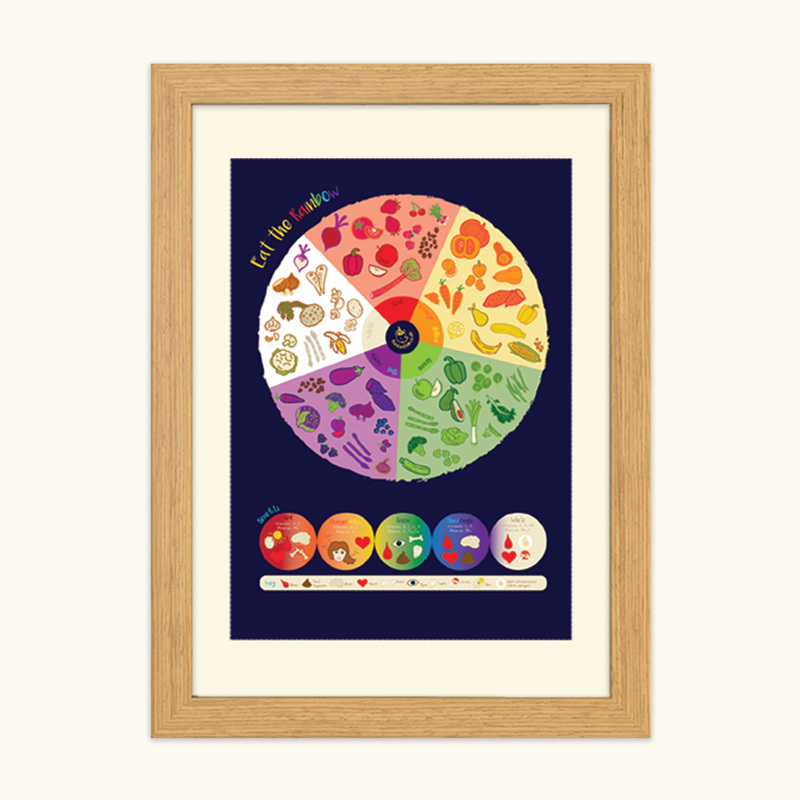 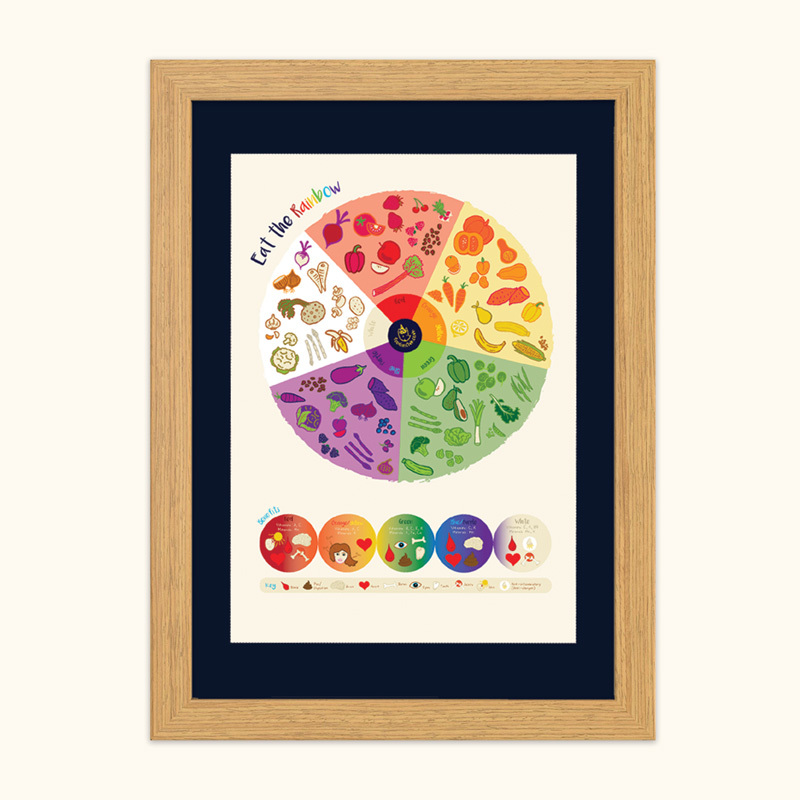 Explore the food rainbow with our Eat the Rainbow print! Encourage your family to explore and learn about the colourful fruits and vegetables that make up the food rainbow by popping this print up on your wall! Litho printed on uncoated 250gsm art card in Brighton. 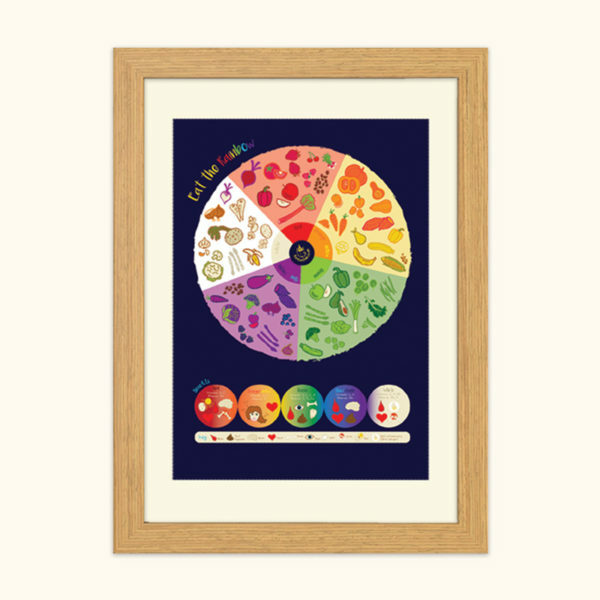 Sent wrapped in tissue paper flat packed into a large postal envelope, UK postage included.